For the past 29 years Schuchart has been privileged to work with The Boeing Company on thousands of projects. 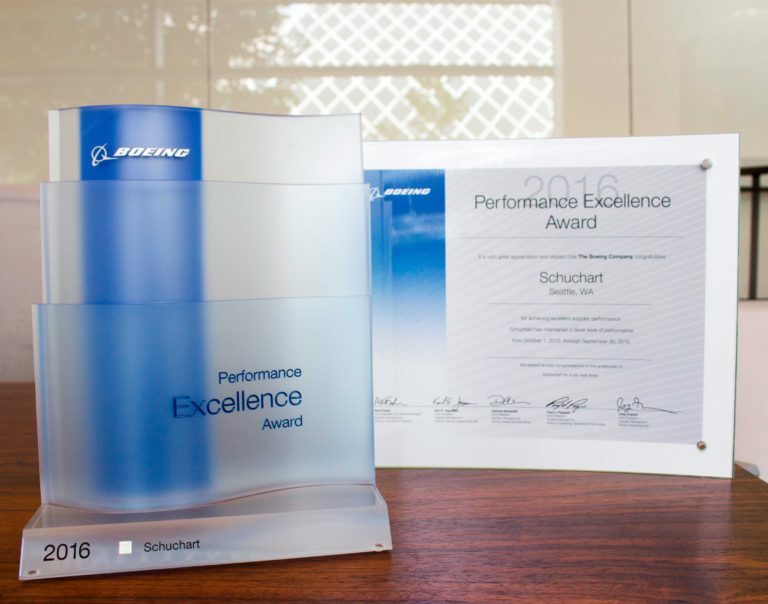 As a result of our exemplary performance, Schuchart received a 2016 Boeing Performance Excellence Award (BPEA), recognizing suppliers who achieve the high performance standards necessary to meet customer expectations and remain competitive in the global economy. Our sixth BPEA award, we are honored to work with such an excellent company and look forward to continuing our relationship with The Boeing Company.